I guess the frequencies match in that you only hear the sound distorted and not as if it is being said by more people at once. Tell Redfist I said Hi. I'll have to do better then, much better. Hey dude,I was wondering how were you able to beat the chapter 9 without destructors? Did you do some mass golem cheese strategy?Or just mindlessly swarmed their base with cheap units? Shot a demon gate from the other side of the river, brought in a lot of units into the base and had them split off in multiple directions sometimes to distract heavy hitting units, when I wanted the units to come back I usually gave the Durce a scroll of town portal. With Braelon in the picture there are options for survivability for your troops. With either extra armor or a well timed resurrection could make a difference when assaulting the base. What was your strategy to destroy the demon slaves base? I used catapults more than war golems. I used all of my food on war golems just to destroy the gates. I nearly destroyed all of them but they were too damaged to continue on the last one near the river. I tried destroying it with catapults from the other side but it was out of range by a thin line. The demons and heroes were the only trouble though. I massed executors and five catapults with 4 priests it did the job. I'm hesitant to try it on hard. Genethas can be easily handled with but that damn demonologist makes hell of damage. Yeah, your units get grouped up and suddenly everyone has less than a 100 health. But getting into the base opens the gates of hell. I'll try it one more.time later todat and see what will happen. Oh, should I skip the interlude or do I have to see it again? And once I'm over it I quit once I start seven then go to.nine? What difficulty did you play the second book on? And did you use any disadvantages? I mostly played the second book on normal but I eventually beat all the missions on hard. Rebellion on hard is ridiculous with the double spawns. Wow you actually did it,you completed chapter 4 with an ultra disadvantage!I congratulate you chief!Just wondering how long did it take you? Almost seven hours, I made a few mistakes along the way. P.S Do you fear the commissar? Just remember to say, "SHATTER THEIR SKY!" Every once in a while. Indeed. Shattering skies and morale! So since you are Karskin, you prefer Cadia? (Cadian Shocktroops). I prefer the Death Korps of Krieg regiment. 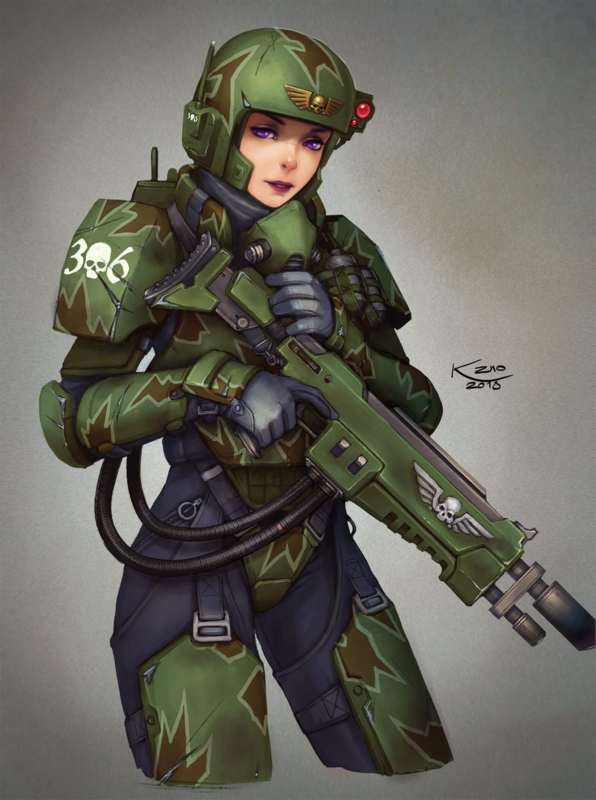 Yeah, I prefer Cadia just wish geedubs didn't make it so every random regiment wears Cadian standard. How do you came up with the word kasrkin? Now with Shar Dundred gone, will you test other people's maps too? It's updated, but mostly fixing bugs and various interface issues, but you didn't happen to play the airship map? hey, are you good at grammar checking too? Kasrkin squad, ready for war.